Catalano & Associates Realty is a Full Service real estate brokerage. Our managing broker is Christina Catalano, who is a detail oriented and customer driven professional with a background in Customer Service and Call Center management. Christina has held her real estate license for over 10 years and has built a network of satisfied customers. She has created relationships with a group of real estate professionals to help her clients in the process of buying and selling homes and land. Christina is one of only 3% of agents who are e-Pro Internet Certified by the National Association of REALTORS®, riding the cutting edge of real estate technology to make your life more simple. She utilizes email and text to accommodate busy clients, but is always available by phone or to meet locally with you. Christina has also earned the Certified Negotiation Expert (CNE) accreditation to better serve her clients in tough real estate markets. This puts Christina in a very elite group of Real Estate Professionals, as less than 1% of agents have successfully earned the CNE accreditation. Catalano & Associates Realty provides tools like DocuSign, DigitalInk, Centralized Showing Service, and ZipFormsPlus to speed up communication and focus on transaction details. We will always keep you informed about what items you need to complete and when. We strive to make your transition to your next home seamless and painless! “Christina is always working diligently to do the absolute best for her clients. Whether it is assisting a seller with preparing and staging a home to get top dollar in today’s market, or helping a buyer navigate the overwhelming process of finding, qualifying and buying that dream home, she is always there working hard for you and your best interest. She makes the whole process seem effortless, resulting in a wonderful Real Estate Experience. Get with her today and she will make it happen! !” Jim F.
“I am an executive that has lived in multiple countries, several states and cities, and bought/sold numerous multi-million $$ properties, both residential and commercial. Working with Christina on my most recent purchase (new home in Austin area) was by far the most efficient and professional search/selection/negotiation/close that I have experienced. I highly recommend her, and she will be closing a house for one of my daughters next month. You will be well taken care of.” Jimmy B. “Professional, reliable and always available. Christina walked us through the entire home buying/selling process and made the experience smooth and stress-free. Extremely knowledgeable about the Austin real estate market. I would highly recommend Christina to anyone.” Rudy H.
“Christina Catalano was great to work with. As my Real Estate agent, she was always: well prepared, quick to respond, an expert on the market, and very easy to work with. She made the process of buying a home a really positive and enjoyable experience. 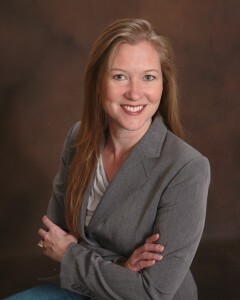 I will certainly recommend her to anyone in need of a real estate agent in the Austin area. Thanks Christina!” Jerry P.
“I have had the pleasure of working with Christina on three separate real estate transactions; the sale of my house, the sale of my fiancée’s house, and the purchase of a new home for the two of us. Christina was tireless in working to make certain that both houses would show well, and in helping us with all of the contractual details, including the initial pricing of the houses and handling amendments. In addition, she was an invaluable when we were shopping around for our new house; she made certain that we knew all of the details of each listing that we viewed, and was highly proactive in tracking down properties that fit our needs AND our budget. She is highly knowledgeable, always punctual, exceedingly professional, and personable to boot; absolutely a pleasure to work with. If you’re looking to buy or sell real estate in the greater Austin area, look no further!” Keith O. “We worked with Christina to sell our old home and to purchase a new one. She was very professional in all our interactions. She responded quickly to our needs and provided prompt feedback. We will definitely be using Christina again in any future real estate dealing!” Ross L.